indian steamer recipes collection. A steamer is an essential equipment in which food can be steamed. Steamed food has little or no oil, and is considered a healthy choice. A steamer is generally a sealed vessel in which the lower part contains water and the upper part contains foods to be steamed. It is heated over a stove to produce steam and cook the food. A steamer may also be electrically-powered. Have a go at some delectable steamed foods like the Cooked Rice Idli, Dhokla Sushi with Carrots, Doodhi Muthia, Kothimbir Vadi and Momos. Muthiya and Patra are other Gujarati delights that are steamed and tempered. Muthiya is generally made by combining together a myriad of flour, vegetables and spices & shaping them into cylindrical rolls. They are quite nourishing and delicious. Palak Methi Muthia, Mooli Muthia, Karela Muthias are some variants that make a very satiating snack. Soft and spongy idli with piping hot sambhar and coconut chutney is my favorite breakfast and I am sure it is for many people. You can even stuff them with a mixed vegetable stuffing or a flavorful mixture of spinach and onions to make tasty Veg stuffed idli and Stuffed Spinach Idli. These variants do not require any accompaniments, you can enjoy them hot from the steamer. Boost your mornings with healthy, power-packed breakfast dishes like Palak Chola Dal Idli, Multiflour Idli or Green Moong Dal and Vegetable Idli. 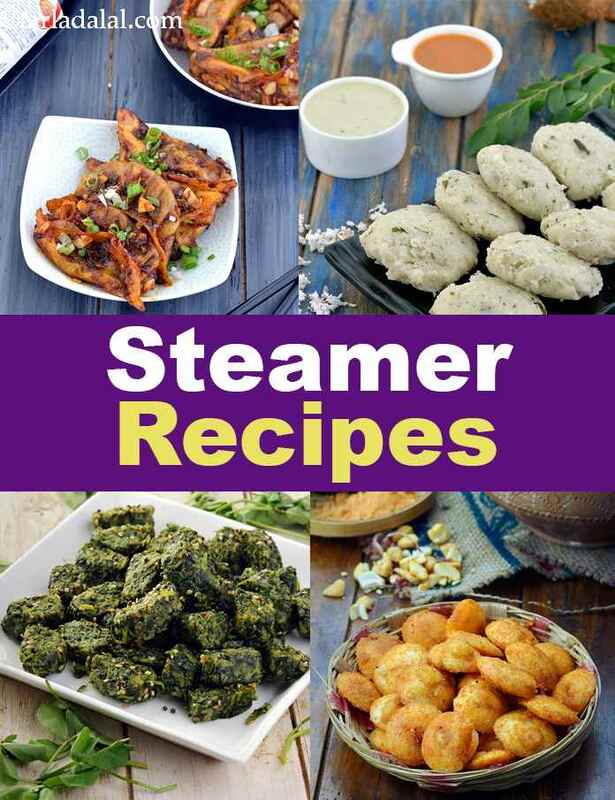 Enjoy our collection of 155 Steamer recipes. These khatta dhoklas are very quick and easy to make. Although dhoklas taste good at room temperature too, serve them hot with green chutney and tea for a classic and complete package!